In this document we will review Kisumu County budget towards access to basic services. This means we will look at the budget and the actual expenditure or absorption. 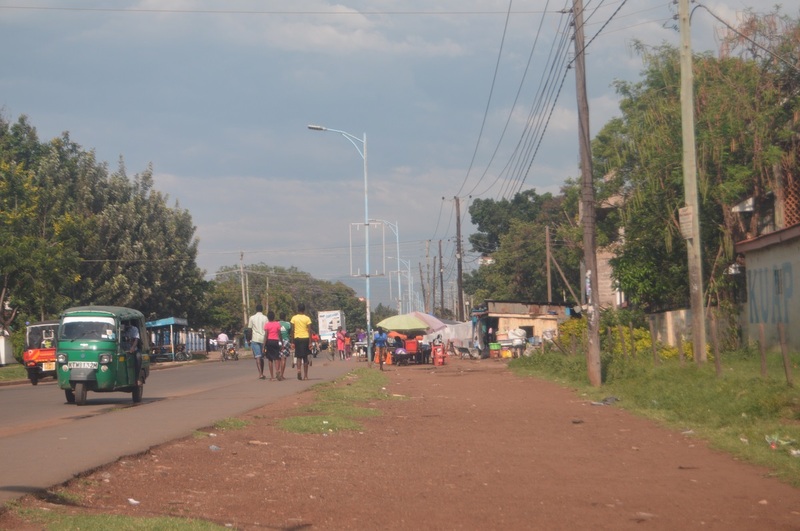 Kisumu County is home to the third largest city in Kenya. However, an analysis of data from the Office of Controller of Budget (OCoB) from FY 2013/2014 to 2017/2018 reveals that the County does not enjoy any privileges for its city status. 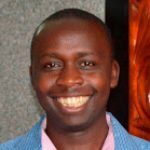 Calculations for total equitable share received by the 10 members of the Lake Region Economic Bloc (LREB) reveals that Kakamega County received the lion’s share at KES. 43 billion during the period. It was followed closely by Bungoma County at KES 37 billion and Kisii County at KES 33 billion. Kisumu County came fourth at Ksh. 28 billion which received the same amount as Migori County. 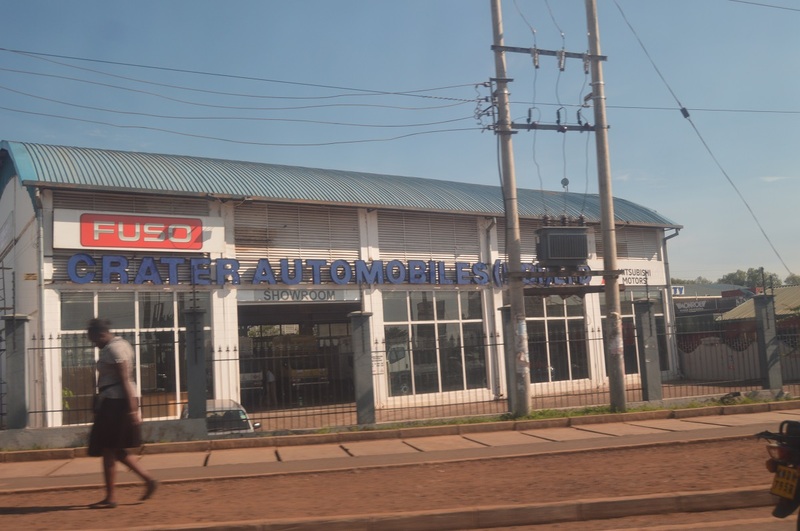 Photo: Trading enterprises in Kisumu City. Proposed budget for FY 2018/2019 is Ksh. 9,217,889,213 compared to KES 9,658,109,102 for FY 2017/2018. This time round the county is more realistic in computation of the projected revenue. In Financial Year 2018/2019 Kisumu County expects to raise Ksh. 1.3 billion from own sources. This is a 17% increase over the FY 2017/2018. 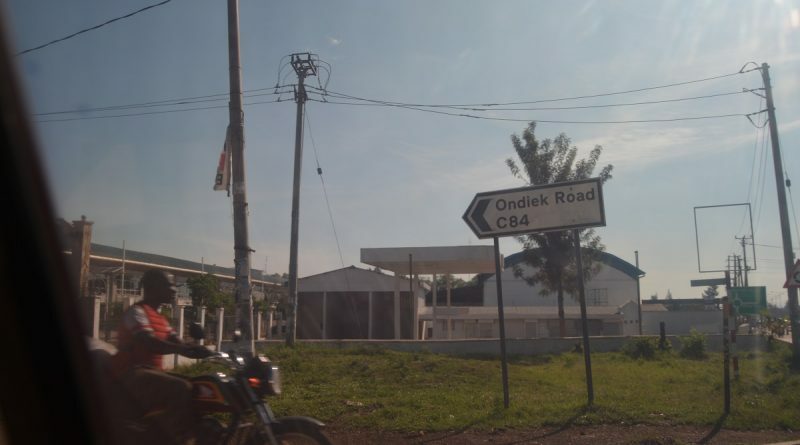 Kisumu County expects to spend Ksh. 2.8 billion on development projects in FY 2018/2019. 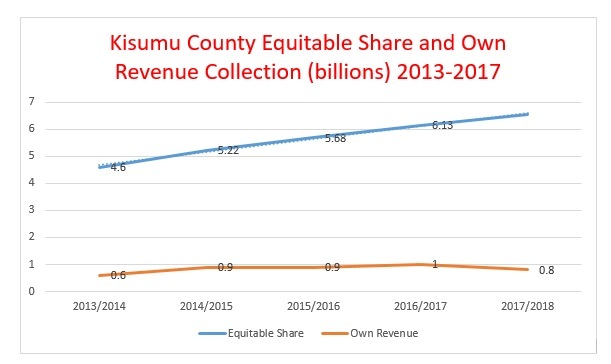 Kisumu County is expected to raise revenue as shown in the table above. As you can see boda boda self-regulation is expected to contribute Ksh. 30 million. During the current financial year (2018/2019) the county government expects to raise the largest amount of own revenues from land rates. This is expected to contribute Ksh. 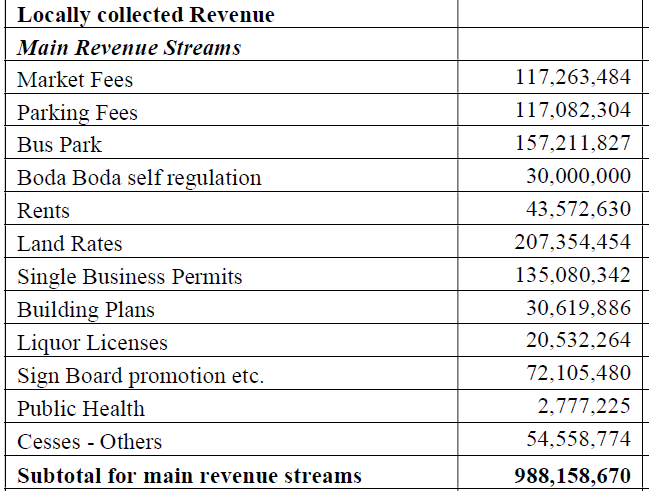 207 million followed closely by Bus Park at Ksh. 157 million. Graph: This graph summarizes Kisumu County public finances during the first term under devolution. Markets, bus parks and parking fees are the cash cows for the county government. In FY 2017/2018, absorption of Development expenditure stood at 23.7% this was a decline from 62.6% in FY 2016/2017. In the Year under focus, Kisumu County spent Ksh. 669.36 million out of Ksh. 2.84 billion budget. It is shocking that in FY 2017/2018, the Department of Lands, Housing and Physical Planning, the Department of Communication and Information Technology did not incur any development expenditure.